Kaby Lake is the 7th generation Core processor architecture to be released by Intel. It is the successor to the 6th generation Skylake and is based on the existing 14nm process node. 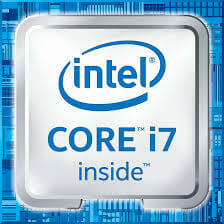 Desktop versions of Kaby Lake were released on January 3, 2017, with the flagship model being the Core i7 7700K. In a hurry? 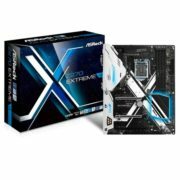 Here is a link to the top-selling Z270 motherboards on Amazon. Kaby Lake shipped with a new chipset family, the 200-series chipsets, with the main chipsets that PC enthusiasts will be interested in being Z270 and H270. The 200-series chipsets continue to use socket LGA 1151, meaning backward compatibility for Kaby Lake. All the major motherboard manufacturers have confirmed that existing boards with a 100-series chipset will be compatible with a BIOS update. The ASUS ROG Maximus IX Formula motherboard is included in the latest line of Republic of Gamers boards that have been designed for Intel’s 7th generation Kaby Lake processors. 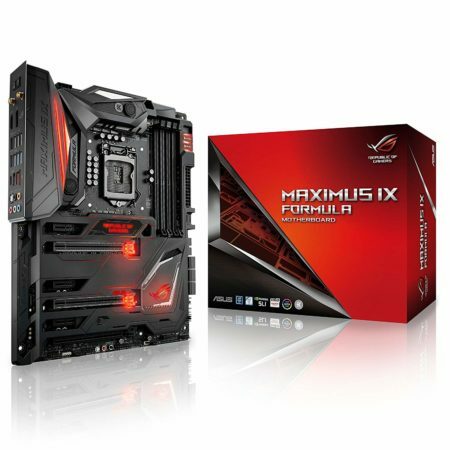 It is the upgrade to the bestselling Maximus VIII Formula that was released with 6th gen Skylake CPUs. The Maximus IX Formula looks as aesthetically pleasing as its predecessor and has a few improvements that will have users opting for the upgrade. Some of the main improvements include dedicated motherboard headers for improved water cooling support, integrated rear I/O shield and backplate, a front USB 3.1 header and an extra M.2 slot, and 3D printing templates to enable advanced customization options. The redesigned CrossChill EK II waterblock enables cooling with water or air and features larger but thinner fins for increased heat dissipation and quieter operation. The Maximus IX Formula also includes ROG’s innovative Water-Cooling Zone, which allows you to monitor every part of your cooling system. It features dual water-temperature headers, enabling you to monitor the temperature of the water going into the system and the temperature of the water going out of the system. The water flow tachometer also lets you check on the flow rate of the water in the system. Another feature that makes the ASUS ROG Maximus IX Formula motherboard stand out is the AURA lighting control software, which gives you full customization of the colors of the board. The built-in RGB LEDs are strategically placed in the most prominent parts of the board, and along with the attached RGB strips, they allow you to choose between nine different lighting schemes that will perform in perfect synchronization. The Maximus IX Formula has some decent improvements over the Maximus VIII Formula, and it is up to you whether the improvements warrant an upgrade. However, for those that are upgrading from an older motherboard chipset such as Z97, the benefits are endless. It is definitely one of the best Z270 motherboards on the market today. If you are one of those enthusiasts who just has to have the latest and greatest, then this ROG motherboard should serve you well. The ASUS Prime Z270-A motherboard has everything you need to build a high-performance system with high-grade acceleration, without a lot of extra features that can seriously increase the price. 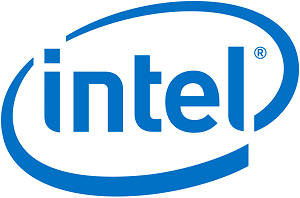 Intel chipsets have been known for a while for their incremental improvements rather than large sweeping changes. You’ll find the Prime Z270-A to be no exception. Many specs and features are in keeping with the previous model. However, they are bigger, better, and faster than ever. The A270-A Prime comes equipped with two M.2 ports. This makes sense since you know that M.2 drives have quickly become the go-to storage option. Allowing for the fastest speeds possible without resorting to RAID, having two available makes sense. The rear USB ports are now USB 3.0 compatible with two USB 3.1 ports available. As with most modern motherboards, it isn’t equipped to be used with air coolers but rather for an all-in-one (AIO) CPU cooling system. This is demonstrated by the presence of the dedicated AIO pump header configured on the motherboard. In a single click, you can configure complex tuning. ASUS’ signature five-way Optimization makes your PC dynamic. It automatically optimizes the most important parts of your system based on your real-time usage. This ensures that you get efficient and reliable CPU performance. It combines stable digital power with cool and quieter fans, with network and audio settings optimized for your apps. All of this enables your PC to perform reliably for gaming, entertainment, and good old-fashioned productivity. Included is Fan Xpert 4, a comprehensive fan control, configurable from the standalone app or from UEFI BIOS. Multiple temperature sensors ensure that all parts of the motherboard are monitored, even the graphics cards. Extreme quiet mode for reducing all fan speeds below the default minimum. ASUS T-Topology ensures consistent quality with minimal crosstalk between the trace paths, for overclocking DDR4, enhanced signaling for stability, and increased compatibility. Asus OC PRO Clock Technology offers a dedicated BCLK generator designed for state-of-the-art Intel processors and allows overclocked base clock frequencies up to and over 425MHz. Optimized for Intel Optane Memory modules to accelerate attached storage. This will reduce both boot and load times. Everything feels fast and responsive. Use native M.2/NVMe PCIe RAID support to build an array using two PCIe storage drives. You can easily customize the appearance and even improve system performance with a wide range of 3D printable parts. The dedicated 3D mount on the motherboard makes it easy to fit 3D-printed parts. ASUS is at the forefront of motherboard design and execution. Their products are supported by high-quality components, and the Z270-A is no exception. This model has high-quality onboard audio, ample options for fan control, and efficient cooling. The motherboard also features an intuitive layout with many options for easy customization and upgrades. The ASRock Z270 Extreme4 motherboard is a mainstream board that is priced somewhere in the middle of the budget and high-end market. This motherboard is in no way ground-breaking and doesn’t have a lot of fancy features (that you often don’t need anyway), but it does the job it’s supposed to do quite nicely – at a decent price, too. 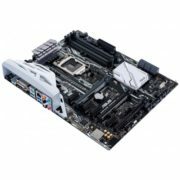 While this is one of the cheaper Z270 boards, it definitely doesn’t lack in any department that is essential for gaming. First of all, there is the aesthetics; this is a classy black and white number that looks good and also contains customizable RGB LEDs that light up the motherboard. ASRock understands that not everyone wants their board to be lit up, so they have made it easy to turn them off in the BIOS rather than having to load up software. There are plenty of storage options, including dual M.2 slots, two USB 3.1 slots, three PCIe 3.0 x 16 slots, and three PCIe 3.0 x1 slots. Add to this Quad SLI and three-way CrossFire, and you have yourself a very capable motherboard for a budget price. 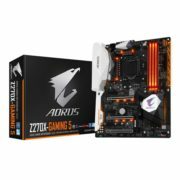 The Z270X-Gaming 5 by AORUS won’t break your budget, and it comes packed with many sought-after features and a strong spec list. To begin, this model features an 11-phase CPU power design. It has three reinforced steel PCI-E 3.0 x16 slots and support for 3-way CrossFireX or 2-way SLI. It also features PCI-E 3.0 x1 slots, and multiple SATA 6Gb/s ports one U.2 port, and a two full-speed PCI-E 3.0 x4 M.2 slots. It supports Intel’s Optane SSD line of products. As far as USB goes, there are two USB 3.1 ports, a Type-A port, and Type-C port. It comes with several USB 3.0 ports, a couple of USB 2.0 ports, and headers. It has a vibrant and exciting LED light implementation that makes it stand out from other similar motherboards. You will find RGB LEDs located under the audio section, beneath the chipset cooler, and between the PCI-E slots and CPU socket. These can be programmed for each to display a different color or lighting effects. It is also possible to add aftermarket lighting. This is unique as it negates the need for an external controller or power strip. This streamlined “we thought of everything” approach not only saves you money, but it allows the system to perform more efficiently. The Fusion application makes it possible for users to fully control all of the LED lights. You can create cool effects such as timing it to blink in time to music, fade on and off, cycle through, or strobe. Overall, the effect is visually stunning. With fewer consumers purchasing sound cards, this feature is more important than ever. The Z270x Gaming 5 was tested for quality in a number of areas including noise level, dynamic range, THD, IMD, and stereo performance. The analog signal quality of the unit is “good to excellent” across the board. The high-performing NVMe PCI-E combines Samsung’s state-of-the-art UBX controller with the industry favorite 3D V-Nand and as such has the capability of matching or exceeding the average transfer rates. One cool feature of the Z270x is that it has two M.2 connectors, which means fewer cable management problems. Also, you can RAID the two together. The performance of the M.2 slots is excellent. They perform with consistency coming close to that of the PCI-E slot. Transfer rates are consistent regarding IOPS, as well. This factor indicates that you can expect optimal performance when using an M.2×4 solid state drive. This model of the Z270x features three types of auto overclocking. Two are software based, and one is BIOS based. Use the EasyTune app to access the OC presets and the auto-tune feature. The preset is simple and straightforward; just click and the system reboots applying the overclock. When using auto-tuning you can slowly increase the system frequencies, perform stress testing at each level until the limit is reached. The entire process takes fewer than ten minutes. It looks good with the attention given to detail in the RGB lighting array. Regarding overclocking ability and audio quality, it overachieves, making the Z270X Gaming 5 a great pick for mid-level range motherboards. Intel’s upcoming 200-series chipset motherboards were expected to be released at the same time as Kaby Lake CPUs. These 200-series chipsets, such as the Z270, H270, Q270, Q250, and B250, allow compatibility with Kaby Lake processors. Crucially, they are also compatible with Skylake CPUs, and Kaby Lake CPUs are compatible with Z170 motherboards with a BIOS update. This kind of cross-compatibility is a very handy feature that gives PC enthusiasts and gamers more options when upgrading or building a new machine. Intel’s Cannonlake and Coffee Lake lines of CPUs are said to be compatible with socket LGA 1151 motherboards. While there are no major improvements to the 200-series chipsets over the 100-series chipsets, there are a few minor updates that are worth mentioning. Intel Rapid Storage Technology (RST) has been upgraded to version 15, which should lead to improved performance and reliability of SSDs and SSHDs. The line of chipsets also has support for Intel Optane Technology, which will feature in upcoming SSDs based on 3D XPoint memory technology. Optane SSDs are expected to provide five to ten times improvement in performance over standard SSDs. Another improvement in motherboards that feature Z270 and H270 chipsets is the increase in PCI-E 3.0 lanes, with an extra four lanes compared to the Z170 and H170 chipsets. These allow for additional high bandwidth connections to be used, such as extra Thunderbolt, USB 3.1, or graphics cards. Z270 has a total lane budget of 30 compared with Z170’s 26, with the total PCI-E 3.0 lanes up to 24, compared with Z170’s 20. Z270 chipset motherboards can support a maximum of three M.2 slots, which is the same as Z170 chipset motherboards. H270 doesn’t have any increase in the maximum M.2 slots over H170, remaining at two. Intel made the distinction between Z270, as an enthusiast platform, and H270, as more of a budget platform, by allowing overclocking and multiple GPU setups on Z270 chipset based motherboards only. As a result, H270 motherboards are relatively cheaper. Kaby Lake is the codename for Intel 7th generation processors, succeeding the Skylake line of CPUs. It has faster clock speeds and higher turbo frequencies than Skylake. While the i7-6700K is the top processor for Skylake, the i7-7700K is the CPU at the top of the Kaby Lake range. Kaby Lake’s Core i5-7600K is the direct replacement for Skylake’s i5-6600K. The Core i7 7700K is a quad-core hyper-threaded CPU that uses the same 14nm manufacturing process technology as the i7 6700K Skylake CPU. Intel is actually calling this process 14nm+, and it is currently the most advanced form of the 14nm node, which accounts for the 12% increase in performance over Skylake. Kaby Lake features a number of improvements over Skylake, with fully integrated support for USB 3.1 Gen 2 enabling bandwidth of up to 10Gbp/s rather than 5Gbp/s, and native Thunderbolt 3 support was added, too. HDCP 2.2 support has been added to Kaby Lake processors, along with a new graphics architecture that improves performance in 3D graphics and 4K video playback.